Available in 5 lb, 15 lb, 35 lb package. 50 or 100 micron (240 or 120 grit). 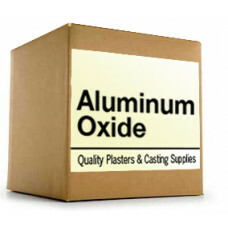 A white aluminum o..
50 or 100 micron (240 or 120 grit). A white aluminum oxide obtained from the fusion of calcined..